Reasonable care has been taken to ensure that the information presented in this content is accurate. However, the reader should understand that the information provided does not constitute legal, medical or professional advice of any kind. No Liability: this content is supplied “as is” and without warranties. All warranties, express or implied, are hereby disclaimed. Use of this product constitutes acceptance of the “No Liability” policy. If you do not agree with this policy, you are not permitted to use or distribute this product. Clifton “CJ” Hallock, his associates, distributors, agents, and affiliates shall not be liable for any losses or damages whatsoever (including, without limitation, consequential loss or damage) directly or indirectly arising from the use of this content. When you were a kid were you fascinated by those dog whistles that you could blow, not hear but all the dogs in the vicinity would come running? The high pitch was something that only they could hear, and though it seemed the dogs didn’t seem to arrive in droves as they did in the movies, it was enough for perhaps your pet dog to prick up his ears before sliding back into sleep. Imagine being able to use auditory sounds that talked to different parts of your brain directly, instead of needing to be filtered through your thoughts and conscious mind. It’s a little like that dog whistle- you might not be able to understand or “hear’ what those sounds mean, but those parts of your brain it’s designed for sure can. Our brains are fascinating things. Scientists still struggle to try and determine the very length and breadth of our brain’s capabilities. Studies show that we use only a small proportion of our brains, but the potential in unleashing some of the parts we do not use is astronomic. The problem is how to access these areas. Certainly, regular meditative practices, a holistic lifestyle incorporating eastern practices such as yoga, and a healthy diet that doesn’t include plenty mind-numbing chemicals definitely help. However for many of us, that type of lifestyle is one we either try to follow but fall short, or don’t even really bother before. Reality normally includes way too much time spent in traffic, the stress of over due work and the chores that never seem to end. For most of us we need a short cut, a simple method of getting our brain trained to think and act to its fullest capacity. That’s where Binaural Beats come in. These sounds stimulate your brain without you needing to think, move or do anything. While you listen, these beats stimulate your brain and lead you to deeper levels of relaxation. When the two different sounds are heard the brain tries to find the middle ground between them. For instance if you play a sound at 100hz in one ear, and play a sound at 108hz in the other, the brain will make the middle sound: 104hz. This is what is known as a frequency-followed response. The brainwaves want to follow the sound and match it. This process is called entrainment. While it’s common to use sounds to get this effect, there are other options. Some people can use visual stimulation, and some use both the visual and aural stimulation together to produce the effect. There is a need to be cautious of using visual stimulus however as it can trigger epilepsy and cause seizures in those prone to them. Who found out about binaural beats? Ideas such as Binaural Beats being used to help meditation and relaxation may sound a little out there. So where did the idea come from? Was it some strange thought conceived to sell a pile of new age ideas? Hundred of years ago it was discovered that if you played one note in one ear, and another in the other, a new note or tone appeared to be heard inside your head. However, it wasn’t until 1839 that the concept was proven to be true after it was scientifically tested and noted to be true. Prussian physicist and meteorologist Heinrich Wilhelm Dove discovered the effect of Binaural beats on the brain in 1839. Dove had a very broad career which included over three hundred papers on experimental physics. He discovered this effect early on in his career and then spent long periods of time exploring it in more depth, discovering the ways in which it affects the brain. He discovered that playing slightly different beats into each ear produces a perception of beats that are not actually there. This is the essence of Binaural Beats. It feels a little like a wah-wah sound inside your head, similar to the feeling of all the car windows down as you are heading down the highway, or an opera singers vibrato. If you’ve ever listened to the sound of a baby’s heart, that wah-wah sound will sound a little similar. Basically, if two slightly different frequencies are playing into either ear the brain tries to find the common ground which gives this wah-wah effect. He also made important discoveries about a raft of other areas, including observing cyclones travel the earth clockwise in the southern hemisphere but anticlockwise in the northern hemisphere. He had a lot of influence over the development of meteorological science, looking at the effect of our climate on the growth of plants, and how heat is distributed over the surface of the earth. Dove was also the first person to measure the strength of an electrical current in a wire which he found by using a magnetic field. He was a well-esteemed scientist and researcher, whose work was respected and valued. Dove did little more than proving the phenomena occurred. It wasn’t until one hundred and thirty-four years after his paper was published that scientists and researcher Gerald Ostler published an article in Scientific American magazine that provided fresh findings, backed up by laboratory research, which shows how these binaural beats could affect the brain, depending on the frequency. Ostler recognized that these binaural beats were a tool cognitive and neurological researchers could utilize to learn how animals were able to use sounds to locate their prey in an environment where sounds can ricochet on trees or rocks before they get to their ears. He was also interested in how animals can be surrounded by sound everywhere but can focus on one particular sound and zero in on it. It’s something that many mothers have done for centuries. Put a pile of babies in a room and mothers will happily chat and talk without needing to watch, but the moment one baby cries that mother can identify that cry as being her child, no matter the volume of the others around the baby. This is also known as the “cocktail party” effect as people also adopt it to differentiate sounds in crowded parties. However, the human’s ability to differentiate sounds is nothing compared to many in the animal kingdom who are able to listen for both prey and predators, knowing the difference in the sounds they make. Ostler also felt the binaural beats were a potentially useful tool when trying to diagnose different conditions. As well as the obvious advantage of helping determine and hearing or auditory issues, Ostler felt it may also help to diagnose psychological conditions. That is because binaural beats use different pathways in the brain that is used when hearing normal everyday sounds. One of the differences Ostler noticed was that people suffering from Parkinson’s disease were unable to perceive binaural beats. Treating Parkinson’s alleviated the issue with Ostler noticing the changes within a week of treatment in several patients. Ostler also found there is a gender difference in being about to perceive binaural beats. Women find it easier to perceive them at two points in their menstrual cycle, first at the beginning of menstruation, and then again about fifteen days later (known to be the time of ovulation) From this Ostler theorizes binaural beat perception may be affected by estrogen levels. In the 1970’s people began to use the binaural beats of rhythms to help with a range of psychological struggles, including managing stress, reducing anxiety and helping with concentration. Al of these have been studied and have found to have some to a lot of valid findings that are in favor with using them in these ways. If you think that you’re going to feel a little foolish listening to apparently nothing, you can relax. If you did listen to the beats by themselves it would sound a little like a motorboat with its engine running underwater. Because that is perhaps not the most engaging sound to listen to, producers have created several different methods of masking that sound a little. Your ears may not be able to hear them but your brain can. Binaural beats are added to tracks of music that you can listen to as your brain does its work. The type of music generally changes to match the chief reason you are listening. For instance, if you want to listen to become more relaxed, then the music is more relaxed. If it’s because you want to sharpen your focus, then the music upon which the binaural beats are laid on top of is generally more upbeat and steady. The music also gives your conscious mind something to focus on as it relaxes and rests while your subconscious mind takes over. As you need to hear the separate sounds going into each ear, it’s not enough to simply put the track on your stereo and play it into a room. You need to have stereo headphones on so your brain can experience the sensation of having the do sine wave tones played in each ear. If you don’t have stereo headphones, placing yourself between not too loud) stereo speakers is the next best thing. Even if your ears can’t hear them, your brain can. These tones talk to your brainwaves and help them either slow down or speed up, depending on what your purpose is. Why Should I use Binaural Beats? Our poor subconscious mind has a hard time in our busy lives. We have both a conscious and subconscious mind and need to have both in ship shape order for our bodies to work well. Our conscious mind is only able to do one thing at a time. It’s the part of us that rationalizes and analyses everything. We need our conscious mind to help us to remember things we only need to store for a few moments such as telephone numbers or that you need only need to pick up milk and bread. This part of us is around all the time we are awake- talking to us and helping us function in our everyday activities. It’s our problem solver, the part of us that sees everything from a very logical place. Our subconscious is busy too but is like the chef in the back of a huge restaurant. You don’t see them, but they’re making all the great food to nourish you and help you enjoy life. It’s in charge of all the mechanics of your body like your heart rate and your breathing. But it’s also in charge of all those lovely feelings and emotions too. The subconscious mind is also in charge of your memories and your ability to store new information in the right place so you can use it when you need to. Anytime you remember a special smell or memory it’s your subconscious helping you find it. With all the busy-ness of our lives giving your subconscious time to relax and reboot, to find space to put new information or just not be quite so anxious is increasingly difficult. Binaural beats help your subconscious have a chance to get sorted. Cos it’s going directly to your brain, it manages to slip past that chatterbox conscious self and talks directly to your subconscious. It’s particularly good for those who find straight meditation hard to achieve as it gives you something to focus on that your brain is doing automatically. Because so much of our day to day life stems from the actions of our subconscious, making it easier to talk to it by opening up the pathways with binaural beats it makes a lot of sense. Who Should use Binaural Beats? There is a range of different reasons to use binaural beats. The key is to use the correct one for the suggested outcome. Different frequencies affect different layers of our conscious state. Anyone who’s ever struggled with an addiction and tried to just “give it up” will know it’ not quite that easy. Our bodies like to stay the same, lulled into whatever state we have them in now. Any change, even good change is met with a pile of hostility and panic by our conscious state. Our subconscious state can re-jig our thinking to help us let go of the fears, stress and biological changes that come with releasing ourselves from addiction. For many of us, our addictions flare up or become more pronounced at times of deep stress. The relaxation effect of binaural beats helps us to remove that excess stress helping us to manage our behavior and prevent any of that falling off the wagon behavior so common with addictive issues. Binaural beats help you reach a place where you can more easily get to sleep. It can slow all the noise down and help you to relax. If you struggle to relax enough at bedtime to even get to sleep without a pile of pillow thumping, tossing and turning and the odd expletive, then binaural beats may be a good option. Playing them as you lie with your eyes closed can help you drift into a deep and refreshing sleep. With the amount of stress, many of us are subjected to it’s an excellent way to still some of the worries that prevent us from sleeping well. Suffering from chronic pain is incredibly exhausting and draining. It is very easy to slip into a pattern where you focus on the pain, and even start to second guess it. Our brains can actually become so attuned to the pain that the intensity feels more unpleasant and the pain feels worse. Binaural beats can help you change your focus so you don’t need to seek out the pain. It can help you to deregister your pain threshold and reduce the sensation of the pain you are experiencing. Studies have shown binaural beats have shown to be effective in reducing anxiety over a period of several months if used on a regular basis. If you struggle with panic attacks, binaural beats can help you reduce the symptoms and prevent them from occurring. It’s also good for improving general optimism and feelings of coping. If you have a major event coming up that may also produce anxiety such as a major operation, a huge lifestyle change or a large examination, binaural beats can also reduce anxiety for these specific events. If you have a diagnosed condition and are taking treatment, using binaural beats can help you relax as you relearn some more positive thinking behaviors. While it is not advisable to stop medication once prescribed, the use of binaural beats can help you reduce some of the long-term effects of your illness. This is one of the more popular purposes of using binaural beats. Using the right frequency can help your brain become more open to learning new concepts and help it file them in the correct place so you have them when you need them. Binaural beats help the listener to develop stronger ability in spatial perception and retaining things heard which enhances our ability to learn. Your long-term memory is controlled by your subconscious self. Helping your mind make connections between materials or file it in the correct place can greatly enhance your memory skills. Using binaural beats can help you improve your ability to file old and new information so it’s easier to locate on tap. If you’ve ever been in a nightmare that you’ve wanted to wake yourself up from but can’t then learning to lucid dream may be a great tool It can be an incredibly empowering skill if you want to work through issues, problem solve or take charge of your dreaming state. In a lucid dream, the person is aware they are dreaming. It’s also known as a conscious dream. A lucid dreamer is able to manipulate the people and surroundings in the dream environment. The lucid dream can feel very real and vivid depending on how aware the people are of their lucid state. While some people can experience them as part of a normal nights sleep, dreaming, and then realizing they can manipulate the dream to change it, others can move into lucid dreaming for a wakeful state using tools including binaural beats. The existence of lucid dreaming has been well established scientifically. A seasoned lucid dreamer may be able to use this state to work through areas of stress and visualize situations they need to explore success in. If you want to develop a more creative outlook, then binaural can help you. With many jobs now including a creative component, or people needing creativity in their everyday life, increasing your creativity can have far-reaching results. Learning to move into a lucid dreaming state, and then exploring your mind at a leisurely and relaxed pace can help you problem solve and create new ideas without your logical conscious state interfering.. This is probably the most controversial use of binaural beats. As many people also move into a lucid dreaming state, it is likely that some people can manipulate their memories as they regress, making some of the facts adjustable and different to what happened. Binaural beats are sometimes used to aid people to reach an out of body experience. There is still a lot of research going into this area with people trying to discover how to measure these phenomena and prove it does work. This also includes such ideas as astral projection, telepathy, and psychogenesis. Who Should Not use Binaural Beats? The use of binaural beats works for many people but there are a few conditions on using them to ensure they are sued safely and effectively. Even though you can’t hear the beats under the music, they can provoke a powerful response in your brain. SO only use them if you are in a safe place such as sitting in a chair or lying on a bed. Listening to binaural beats in the car is not considered safe. They can prevent us from completely focusing on the road, and they quieten the conscious mind that we need to drive effectively. The same goes for operating heavy machinery and working on jobs that require concentration. If you have any history of epilepsy or seizures, you should consult your doctor before starting on a programme of listening to binaural beats. Tracks that come with a visual stimulus are best to completely avoid as these have been known to trigger seizures. Like anything that takes us from a conscious to a relaxed state, it is best to use these who sober. The use of this alongside heavy alcohol or recreational drug use is not advised at all. Both alcohol and drugs alter the brain and also alter your ability to make unimpaired and healthy judgments. We want to entrain our brains to work the best way they can, bringing health and vitality back to our bodies. Using binaural beats in a drugged or inebriated state does not honor our bodies, or although our brains the full credit they are due to learn what is best for our bodies and change. If you are pregnant and wish to use binaural beats or have any other pre-existing medical condition use them carefully, tracking any changes and listening to how it makes your brain and your body feel. Our brain, our thoughts, our body and our health is all closely interconnected and nothing happens in a vacuum. If you struggle with a physical ailment, this can affect the binaural beats effectiveness, and in turn listening to the binaural beats can affect the ailment. As long as it’s a positive change that is well and good, but it is best to monitor accordingly. Which Binaural Beats are Right for Me? Our human ears can’t hear every sound under the sun. If you remember that dog whistle right at the beginning, the reason we can’t hear it is that the pitch is created at a higher frequency than we are able to hear. Our brain can hear sounds from 20hz to 20 000hz. Some scientists have said we can also hear sounds under 20hz, or rather we may not be able to hear them, but when they are played, our brain reacts to them. These may not be immediately audible to our ears unless played very loudly, but binaural beats below this limit have been produced in the brain during experiments. All binaural beats are played at 40hz or less, to match the brainwaves. We have five main brainwave states in our brain, each corresponding to a different level of consciousness. The precise frequencies vary a little person to person, so a range is provided to compensate. The state of awareness our deepest one, a state where we don’t dream and lose all sense of body awareness. Use binaural beats in this range if you want to experience better sleep. Listening to these just before bed can help lead you into a deep and restful state. This is our REM sleep, the part of our sleep that we dream in. It’s also possible to reach this state with deep meditation. Lucid dreaming can be done at this level as we are both unconscious enough to give our subconscious rein, but aware enough to control the actions of us, others in the dreams and our environment. Because this helps the subconscious play, this state is best for people who want to heal either their bodies or their mind. It allows our brain to fix the broken parts itself. This is the lightest level of relaxation state, and we move into this state every day as we fall asleep and then as we awake. It’s that lovely sleepy, relaxed state that we drift off from into sleep. It’s also our meditation and distressing state and can be very energizing if you are experiencing large levels of stress. If you are active, or busy, and are thinking anxious thoughts, this is the state your brain is currently in. If you want to increase your learning potential, select binaural beats in this frequency to enhance the learning process. This is our conscious state. Our higher mental activity resides in this state and we engage these brainwaves when problem-solving. Our brains are in this state for much of the day, and we generally don’t need to increase our amount of time spent in this state. The brain will entrain within one of these frequencies, selecting the one that is the best match for the sounds played. For example, if it is played in the alpha range, it affects the alpha brainwaves and improves our relaxation. Sounds played that corresponds to the beta brainwaves, however, would make you feel more alert as they are part of the awake brain. A study that set out to show how different frequencies could change the brain in different ways took two groups of people and played different frequencies to each. One group was played frequencies in the Beta range, and the other was played frequencies in the Delta range. After the tracks were played they found that listeners of the Beta range tested as being more awake and alert than those listening to the Delta beats. Will Binaural Beats Really Make a Difference? Many people have used binaural beats over the years and found they are helpful at changing patterns of behavior, helping them to move into a state that helps the brain relax or learn faster. Similarly, if you are using them to help you reduce your stress or learn to relax, commit to making choices alongside your listening to expedite it. There is no point in investing your time, and energy in listening to the beats, then coming off and spending the next two hours whirling yourself into a stressful slather and eradicating any good you did. Binaural beats WILL help you, but along the way, you need to continue to help yourself. You will need to keep on working at it. You may find that other things will help you develop alongside listening to binaural beats such as making sure you have good day-to-day routine or eating foods that energize and bring health to your body. As your brain starts to engage more readily, allow yourself to change any habits that haven’t been constructive and develop new ones. You may find other relaxation methods will enhance the time you spend listening to binaural beats. Self-hypnosis can help develop some of the brain work you have begun and taken it to another level. You may find as you change you’ll discover new interests or patterns that help to take you to where you were headed. This also means you lose some old behaviors. This sounds great at the outset but our bodies and mind can actually be pretty resistant to change. You may find the first few weeks can include some struggle to let go of old behaviors. Sometimes it can feel a little like we are losing our best friend. Our habits and behaviors are all a part of what makes us who we are and our bodies like us to stay the same even when we are making good changes. If you are aware that your body may put up a bit of a fight as your mind starts to adapt, you’ll be more likely to allow your body and brain to make the changes they need to make at their own pace. This sense of needing to stay the same is what causes many people to “fall off the wagon” when they are trying something new. It’s just our body rebelling against the change. It’s one of the reasons it is so important to use the binaural beat tracks on a regular basis. It helps our brain to remember what it is meant to be doing and why. It’s a little like training for a marathon. If you plan to run in six months time you can’t just train for the first month then hope it’s going to see you through till the race. You start as you mean to go on and you set up regular training programmes so when the big day comes you are ready for the challenge. Our limitations of success with binaural beats come down to one important factor- ourselves. If you commit yourself to success with it, and allow yourself to incorporate listening to your tracks every day, and then allow your brain as it changes to then tell you what changes you need to make, then you’ll find success. Otherwise, it’s a little like going to a weight loss meeting for two hours and then buying six doughnuts on the way home to eat after dinner. Am I Opening Myself up to Weird Thoughts? We all know the brain is a powerful thing. Most of us are also pretty fond of our brains and don’t really want anything strange to mess with them. So it’s important to know that your brain is clever enough to only allow you to go as deep as you feel comfortable with. If you are worried about going into a deep trance that you’ll never wake from, you can rest assured that will not happen. A trance state is one where you feel both relaxed and energized at the same time. You don’t lose consciousness, though as mentioned elsewhere in this report, you can become relaxed enough to fall asleep. Unless that does happen (and if you are listened to it to help with sleep that’s the desired result anyway) then the most it ‘s going to feel like is a sense of being awake but not caring that you are conscious- just in a happy relaxed spot between awake and dreaming. It’s a completely natural state to be in and one that you can shift into without binaural beats to aid you. Watching television is very similar to being in a trance-like state it is really just being focused on one thing for a period of time. You won’t be in that state from the moment the first beats are played, but rather will be taken to that place gradually and naturally as the tracks are played. It can be tempting to stop using them binaural beats the moment you have the success you were aiming for. However to firmly establish the brain changes it is good to ensure the patterns of behavior (be it learning easier, sleeping better or reducing anxiety or something else entirely) have been changed for at least three weeks before you stop. Because of our behavior changes as our brain changes, it is important that you record your changes as you begin to listen to binaural beats. As humans, we are specialists in reducing our solutions into something we did completely ourselves instead. We listen to the binaural beats, we change, and then we take all the credit for the change, forgetting what we did to start the changes in the first place. Keep a very simple journal just to record listening to the binaural beat tracks and any reflections on it. At the very least it will give you a history of whether it is working and then help you learn what worked best for you if you need to use it again for another issue down the track. Keep in mind that anything you use that helps you to change is worth using again. 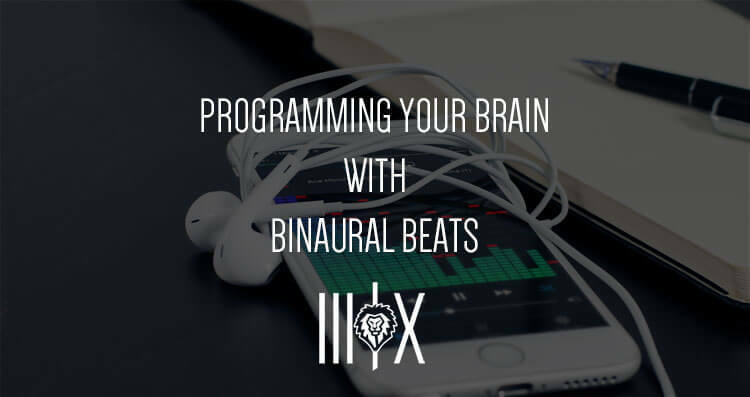 Binaural beats are a powerful tool that can painlessly get you the changes you long for, helping you reach your goals and develop new habits that will bring success and vitality.